Thailand is known to be a country with a unique culture. It has many festivals and celebrations and one of these is the traditional Thai New Year festival commonly known as Songkran Festival. The said festival is usually a 3-day celebration filled with music, dancing, and people having fun while being soaked in water. 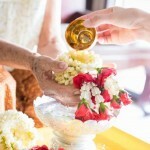 Traditionally, this Thailand festival is being celebrated by cleaning houses, dressing up colorfully, and offering food to the monks and their ancestors. In addition to that, it started as a Buddhist tradition by sprinkling water to symbolize purification. However, it evolved to splashing water to each other as time went by. 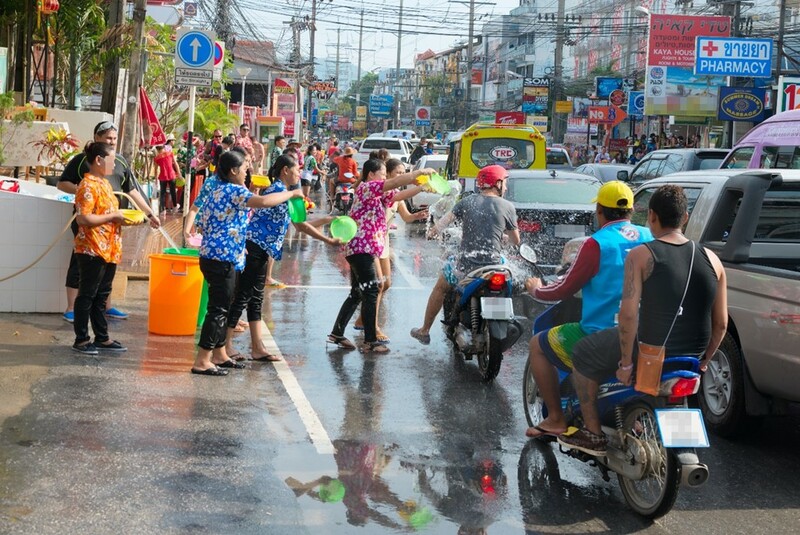 Since April is the hottest month in Thailand, everyone makes themselves involved with this massive water fight. 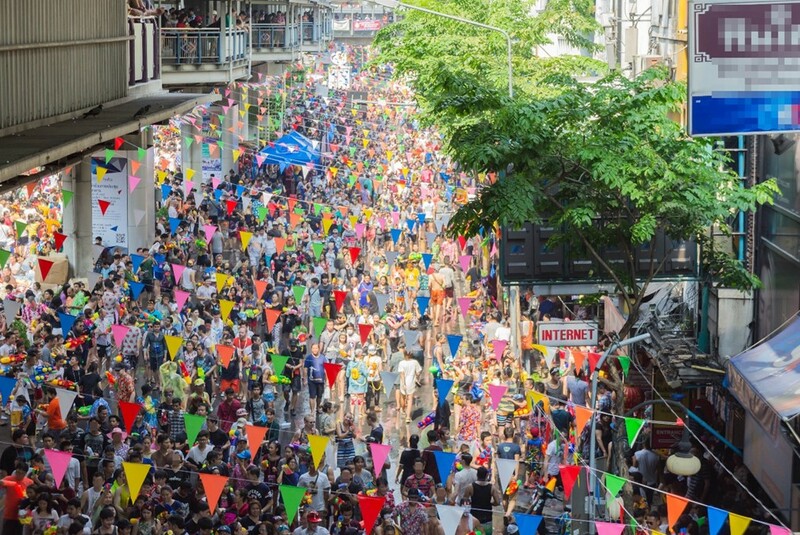 Large crowds fill up the streets in different parts of Thailand during this year. 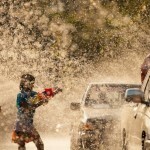 Want to know where to go in Thailand to celebrate Songkran Festival? Continue reading below! 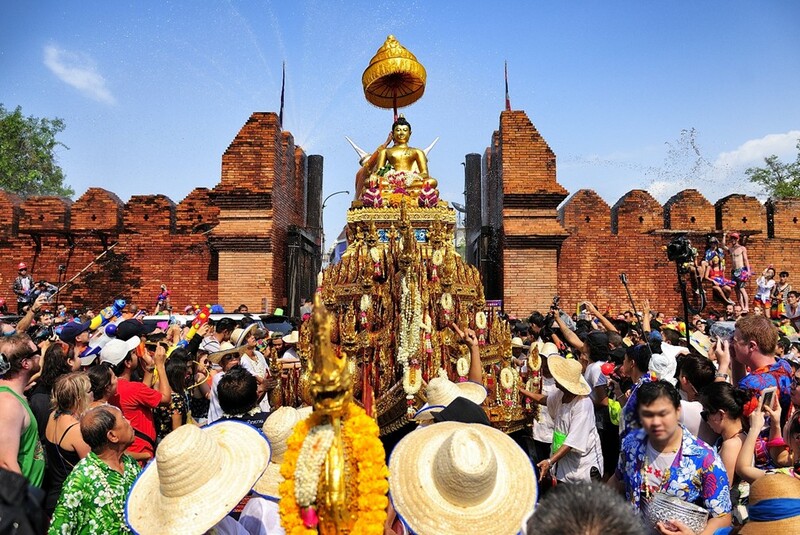 Chiang Mai is arguably the most fun place to celebrate the festival among any other cities in the country. Thus, it is one of the famous places to visit in Southeast Asia during mid-April. Be prepared of the water splashing from any direction as most people have their own water pistols or water buckets. Check out Chiang Mai Gate and Tha Pae Gate as these are the popular ones for the water splashing party. During the festival, many locals go back to their respective hometowns. So, foreign tourists do a Bangkok travel to celebrate Songkran Festival. During this time, most shops and restaurants are closed but big malls are still open. 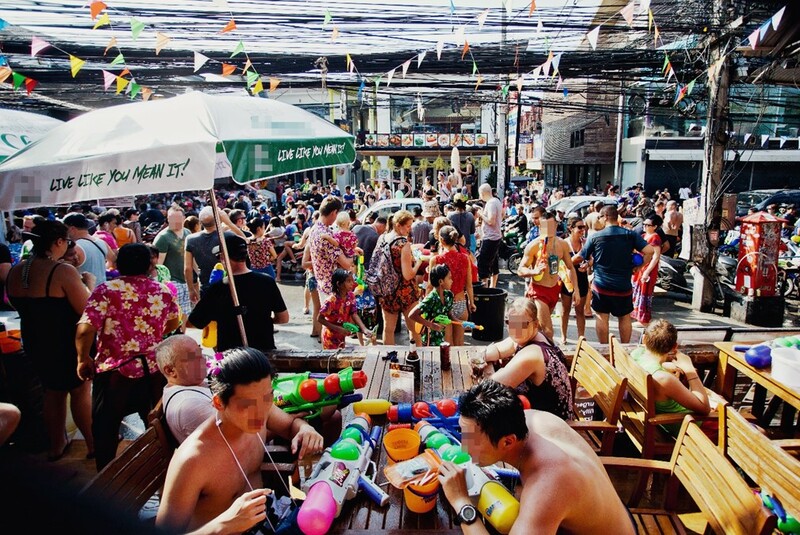 One of the famous roads to celebrate this is Khao San Road where numerous people join together and walk along the road with lively music while throwing buckets full of water to each other. Another one is Silom Road which is being entirely closed from the traffic. Visiting Phuket is one of the things included in Thailand travel tips especially if you are a beach lover. Meanwhile, it is also one of the best places to experience the festivity. 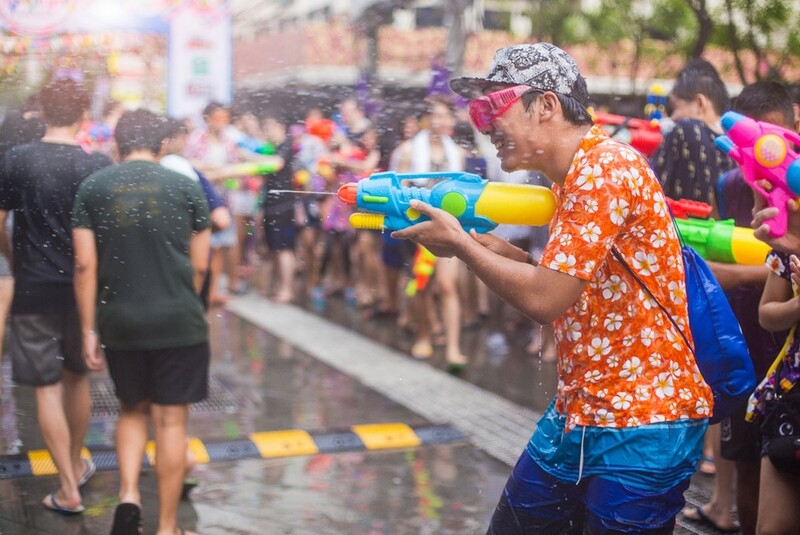 In fact, you will see many people walking drenched in water and even the police officers use water pistols in exchange of their guns and take part in the water fight. Aside from nonstop parties especially in Patong beach, there is also a pageant being held with traditional performances from local dancers known as Miss Songkran. 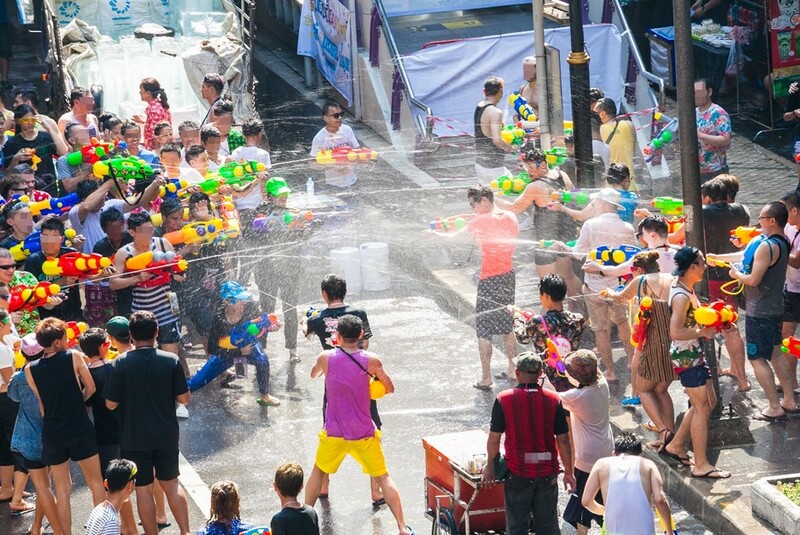 Known as a city with a massive party scene, it would be not surprising that Songkran Festival is widely celebrated here in Pattaya. Compared to any other places in Thailand, the festival is celebrated the longest here. The long strip of the beach is filled with different kinds of parties and buckets of water. The water fight is less intense here compared to Pattaya or Phuket. Nevertheless, it is still one of the places to celebrate Songkran Festival. Usually, children ride a pick-up truck and they are being driven around to squirt their water guns at you. The vibrant celebration takes place in Chaweng Beach where locals and foreigners come together. On the other hand, Nathon or towns in the west coast celebrate it traditionally. Have you selected which place you want to celebrate Songkran Festival? Regardless of the place, you are sure to have so much fun during the celebration. Get ready and make yourselves armed in this huge water battle! Book your flights to Thailand now at Bangkok Airways. Make your Thailand trip more memorable by celebrating the Songkran Festival this April!